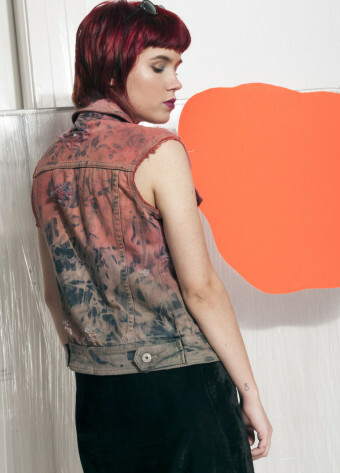 Totally rad oversized denim vest with Harley Davidson textile badges. Fits more sizes depending on the desired look. 55 cm / 1' 9"